We went to school authorities over a girl who bullied our daughter. Afterwards, my husband punished our daughter by grounding her. These are kids who have great families, grades, and accomplishments. We always check her social media. She said we didn’t know anything because she erases it and doesn’t want to be punished again. She said no one cares and she’s ostracized, pushed, threatened, and rumored about. She said she was going to the police and her dad went ballistic. That’s when she attempted suicide. The school asked us to move her to another school, but she doesn’t want to do that. We’re at our wits’ end. We believe that parents can be a great line of defense for their children by believing their children and believing in them. We also believe that collectively parents, schools and communities have a responsibility to truly try to understand bullying today and how we may turn each community away from bullying and create civility in our culture. Our definition of Civility is consideration, caring, and courtesy. It’s a difficult job in our current society, when so many adults are not being the best examples. experiences to their most trusted adults, their parents, their teachers, and all the leaders in their community. Parents can help their children’s Confidence and sense of self-worth by being persistent, using civility to be determined and keep Communicating with other parents, schools and authorities involved, until our society is enlightened, educated, and refined. Parents can also help by being involved with their kids to find and practice their Creativity by demonstrating their internal and external talents. Bullycide is real – every attempted suicide must be taken seriously and happens when kids are not believed, are punished for telling on bullies, and can’t find a solution. As a last resort, get the police/ law enforcement members involved. Education is imperative. Bullying is the same as abuse – someone wanting power over someone else. 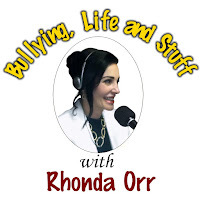 Bullying may happen to anyone, regardless of their socio-economic status, their intellect, their education, their popularity or celebrity (or normalcy). It is still an epidemic that must end with civility. My 15 year-old daughter has a bad habit of saying, “I don’t know” when I ask her anything. I’ll ask her what movie she wants to see or which dress she likes best. She says she “doesn’t know.” She seems to want me to make up her mind for her. One of her teachers sent a note home telling me she was worried about my daughter getting into a good college simply because she can’t articulate well enough during class and hasn’t defined her identity. Her teacher has a point. When your daughter has college interviews and answers, “I don’t know,” she will not be taken seriously. People who say “I don’t know” may be embarrassed to talk or feel unsure about giving the “right” answer. “I don’t know” is said when someone is frustrated, disinterested, or scared. In our culture today, being wrong is a set-up for being bullied. Something you may want to try is to wait for an answer. TV psychologist Dr. Phil, said, “We teach people how to treat us”—and that is especially true when it comes to establishing credibility and influence at school, college, or work. Every time you say “I don’t know,” you teach people not to come to you next time. You may try the Dr. Frank Lyman strategy (from 1981): think – pair – share time, where each member, individually and silently, thinks about a team question. It’s a learning and confidence building strategy to create real answers and solutions, together. Confide in your girl that you understand how she feels – you’ve felt it too. In a most kind way, tell her she doesn’t need to say “I don’t know,” anymore, because she has strategies to learn, seek, and dig deep to define herself. My wife and I are grandparents of teenagers. We’re from a different era; however, we want to know what to do about the need for common courtesy. We go to sporting events, dance recitals, and birthday parties for our grandchildren, where basic “thank you” and “please” are lacking. We taught our children how to be polite, but it doesn’t seem to be taught to this generation. We know people don’t write hand-written notes of gratitude anymore, but we thought she would at least thank us. She just said she got it. Our daughter told us not to take it personally. Civility, by the common standard of society, was the accepted practice of showing your care, consideration, and courtesy to others. Common courtesies create a peaceable and a kind society. 10. Never embarrass anyone. “Embarrass” meaning: humiliate, make uncomfortable, or ashamed. 9. Apologize when you hurt another person physically, emotionally, or spiritually … and mean it. Don’t do it again. 8. Don’t interrupt conversations; you are not more important than another person. 7. Decline an invitation or change plans with great thoughtfulness and appreciation that you were invited. They’re showing you care and no one needs to be rude or lie about plans. Don’t accept or change an invitation or plans because something better comes along. 6. Respect the needs of others and their property as if it’s you and your very own property. 5. Help others save face, which means talking privately about personal subjects, especially if it isn’t something the other person wants made public. Don’t be loud or obnoxious in public and don’t gossip. 4. Do write thank you notes two weeks after a birthday, event, or receiving a present (wedding presents may take three months). It’s warmer to take the time to value others. 2. Do not use rude language or swear, especially in public, like, “I hate you” or “shut up,” and don’t claim you were only joking. 1. Practice and teach niceties like “please,” “thank you,” “excuse me,” and open doors or help others … always! Let’s create a kinder, more gracious, more loving culture by saying and showing genuine care, consideration and courtesy to others. I’m being bullied by a friend in high school. If we’re alone, she doesn’t talk and hums instead. I asked her why she wasn’t talking to me. She only answers when other friends are around. We’re both on the cheer team and I’m the captain. In front of the team, she said I created a good routine, but she mumbled that she was just kidding. She said I only got the captain position because the advisor is my mom’s friend. I cried and told her I couldn’t believe she was attacking me for no reason. She looked at me like I was crazy. I asked her what I did to make her so angry at me. She had no emotions. She looked surprised. She may have some passive-aggressive feelings towards you. However, people with passive-aggressive behavior are complicated and complex. The NYU Medical Center defines a passive-aggressive individual as someone who "may appear to comply or act appropriately, but actually behaves negatively and passively resists." Passive- aggressive actions can range from being mild, such as making excuses for not getting together, to serious sabotaging actions. • Ostracizing someone in private, making her feel like she’s in control. • Subtle insults without taking responsibility, because she may see herself as the victim. • Accusing the victim of being unselfconfident, when it’s common for a passive-aggressive bully to be a person who’s very insecure. • Passive-aggressive people don’t like confrontation and deflect criticism of their bad behavior. Confrontation means they may need to address their angry or uncomfortable feelings. 1. Ignore her because she only feels empowered by directing her negative feelings towards you. However, this often doesn’t work and these bullies increase their harmful behavior. 2. Be direct and honest with the bully and try not to be offended or show your hurt emotions. Set boundaries by saying that you recognize her negative behavior and you will walk away from her or call her out on her behavior each and every time she bullies you. Mean it and do it. 3. Tell a trusted adult, if neither tactic works, until something is done about it. Recognize that most passive-aggressive people lack self-confidence and communication skills. Your best advantage is to choose not to stay a victim.